Since my phone conversation with Vince Young on Friday, I have not received a written request for a prorated check nor has he returned the voided February rent check to me. Without both of those I can’t write him a new one. Maybe his response is in the mail. Or maybe I’ll hear his footsteps lumbering up the stairs to deliver it in person. 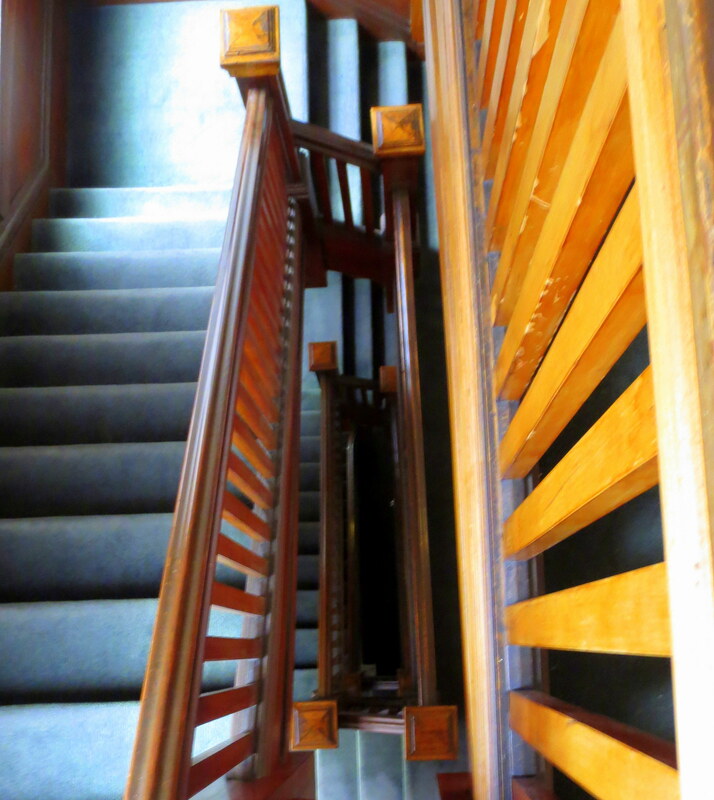 Which is my crude segue into today’s feature, the staircase. It’s original, 1915, and a very Arts & Crafts contrast to the froo-froo pilasters and cartouches I’ve mentioned before. 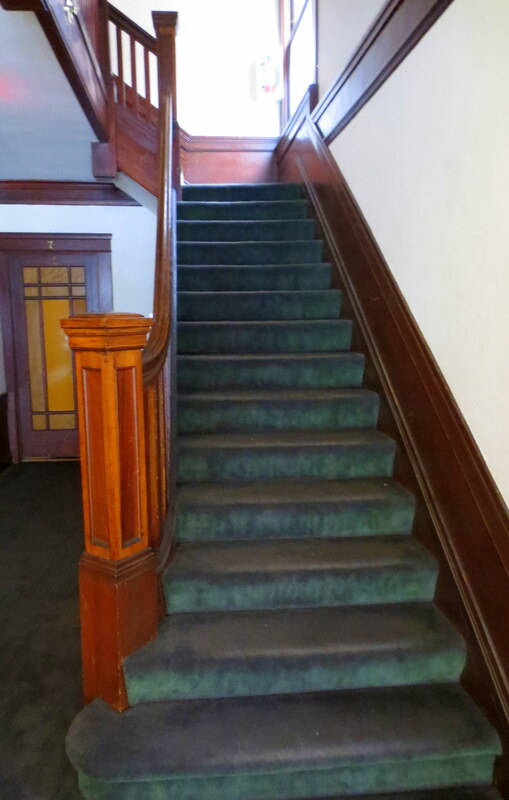 The carpet was replaced in 1987 but the woodwork is well-worn and probably hasn’t been touched up in 100 years. I love it. I’m lucky that the original builders equipped the staircase with the best in Early-Warn technology. The stairs are so creaky and rickety, it’s like a chorus of cicadas when someone is going up or down. And the chorus is amplified by the acoustics of that echo chamber. I can’t tell you how many times I’ve been awakened by drunken neighbors coming home at 2 a.m. But that I blame more on the liquor laws of California. If the bars were allowed to close at a decent time, say 5 or 6, my drunk friends would have been getting me up at a more appropriate hour. 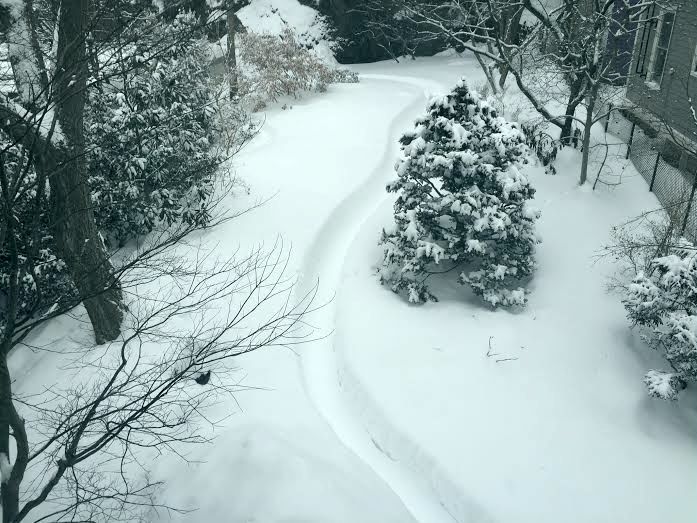 The bushes of Jamaica Plain are very cruisy, someone has thoughtfully cleared the way. Talk about your appointed rounds…. From Dale & David in Boston: things have taken a dire turn for the worse. Not only is cabin fever rampant but they’re also out of red wine. And, as if they haven’t suffered enough, Angelina Jolie can’t get her team of huskies through. 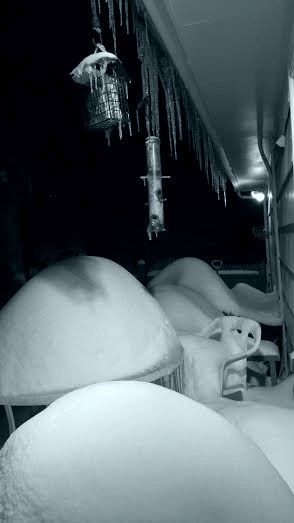 From Marilyn in Providence: the spirit of the Quonsets lives on in the drifts.